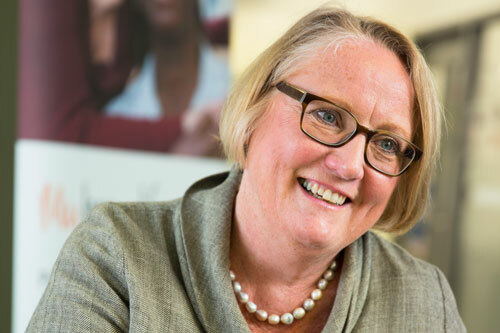 Professor Julienne Meyer CBE has been named as one of University of London’s Leading Women as part of the 150th anniversary celebrations of the first women being admitted to the University. A Professor of Nursing in the School of Health Sciences at City, University of London, Professor Meyer leads research in Care for Older People and is Executive Director of My Home Life Programme (MHL), a UK-wide initiative to promote quality of life for those living, dying, visiting and working in care homes for older people that has recently spread internationally to Australia and Germany. The pioneering work of the University of London, which includes member institutions such as City, regarding women’s education continues. Given the extraordinary reach of the University of London and its member institutions, the federation hopes to generate debate around the issue of gender equality and to actively provide opportunities for the next generation of women. Throughout 2018 the University is celebrating this 150th anniversary with a series of events and activities.